The lawyers at Prior, Daniel & Wiltshire are broadly experienced to deliver legal services covering a wide spectrum of the needs of our clients. Our practice areas include, business and corporate law, business litigation, criminal law, DUI defense, education law, employment counseling and litigation, estate planning, government litigation, health care counseling, serious personal injury, product liability, traumatic brain injury, probate litigation, and general litigation. The firm strives to provide the very highest level of cost-efficient, result focused legal representation to its individual and corporate clients throughout Georgia and the Southeastern United States. We pride ourselves in our ability to serve our clients with quality and integrity. If you would like further information about the firm, please contact any of our lawyers. Thank you for visiting our site. We look forward to serving you. The firm strives to provide cost-efficient and result-oriented legal representation to its individual and corporate clients throughout the region. Prior, Daniel & Wiltshire provides a wide array of legal services including bankruptcy, business and corporate law, business litigation, criminal law, education law, employment counseling and litigation, estate planning, family law, government litigation, health care counseling, personal injury, probate litigation, and real estate. We presently have six attorneys and are well-staffed with paralegals and support personnel to serve client needs. BOB PRIOR is the founding partner of Prior, Daniel & Wiltshire, LLC. He received an appointment to the United Stated Naval Academy at Annapolis, Maryland and graduated from Annapolis in 1986 with a Bachelor of Science degree in Mechanical Engineering. Upon graduation from Annapolis, Mr. Prior was commissioned as an officer in the United States Marine Corps where he served for eleven years as both an infantry officer and then a JAG officer. He attended law school under the Marine Corps' Funded Legal Education Program, graduating first in his class from Mercer University. Upon leaving the Marine Corps, Mr. 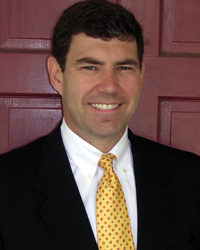 Prior began private practice in the Athens, Madison and Lake Oconee areas. He specializes in wills and trusts, elder law, tax planning, business succession, asset protection, and probate. He is a member of Wealth Counsel, Elder Counsel,and the National Association of Estate Planning and Elder Law Attorneys. He regularly teaches estate planning techniques to other attorneys on a state and national level. Mr. Prior is a Director of the Bank of Madison and Chairman of the Bank's Asset and Liability Committee. He is past Chairman of the Morgan County Board of Education, past Chairman of the Madison/Morgan County Chamber of Commerce, past Trustee of the Morgan County Community Foundation, and past member of the City of Madison Downtown Development Authority.